Posted on July 28, 2017 by Sean K.
It has been such a wonderful summer so far and I am so grateful for all the families that have sent their children to the Wild at Art camp this summer. We have been having a wonderful week at the end of July. On Monday, we talked about going on journey this week looking for spectacular “things.” Here are a few highlights from the week with all our spectacular findings. Highlight #1: A visit from the amazing Caterpillar Lab! 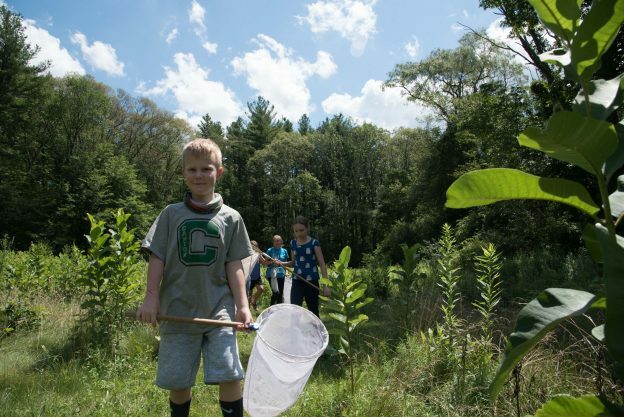 This entry was posted in Camp, Education, News and tagged art, caterpillar lab, Discovery, Exploration, Mass Audubon Summer Camp, Summer Camp on July 28, 2017 by Sean K..